Look SW from Hartford IL in Madison County across the MIssissippi River at the confluence with the Missouri River. 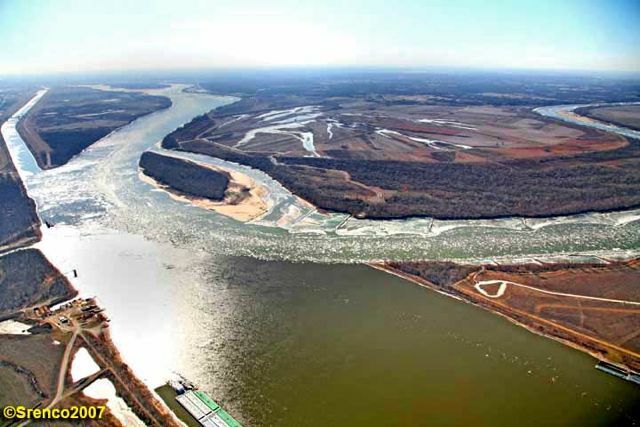 The left edge looks down the Chain of Rocks Canal that formed Chouteau Island. Right side of picture is St Charles County and the center background is St Louis County.